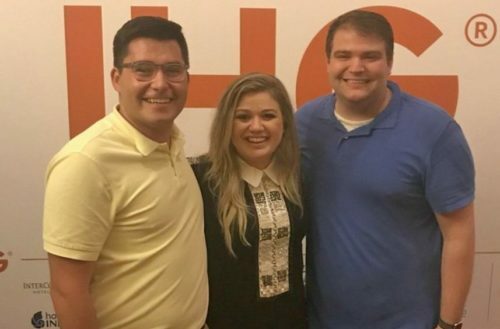 During a meet-and-greet after a recent show, Kelly Clarkson helped one very lucky fan pop the big question to his boo. Alex Malerba set up a surprise proposal to his boyfriend, Justin, who assumed they were simply posing for a photo with the pop star. What he didn’t know is that Malerba had schemed with Clarkson, and got down on one knee after the photo was taken. Clarkson knew Malerba was a very special fan cause during the entire show because he lip synced along perfectly to all her songs. “Kelly actually called me out for being so dedicated and how I helped her remember the words to some songs by watching my lips move,” Malerba told Entertainment Tonight. Malerba said his “heart was racing” as he approached Clarkson. 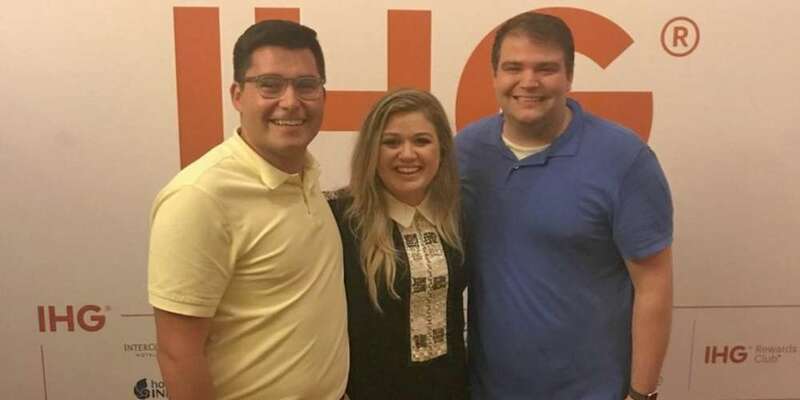 He decided to share with the singer that he was planning on proposing to his boyfriend during the show, but it would be better if she could help. What happened next is pretty darn cute, especially Clarkson’s reaction when she finds out they have been together for four years. After Justin accepted his boo’s proposal, crying tears of joy, Clarkson gushed over the emotional moment. When she discovered the couple had been together for four years, however, Clarkson couldn’t resist serving up a joke.